A recent statement by a member of the government in Priština concerning plans to demolish a Serbian Orthodox church in that town has caused reactions. The eparchy stressed that the SPC was recently informed “directly from the very top of the Kosovo government” that they supported the building of the church, and that international representatives in Kosovo had been informed of this. The Citizens’ Initiative Srpska, a political group gathering Serbs in Kosovo, has condemned in the strongest terms Gashi’s statement. “Such ill-considered and inappropriate statements have been very harmful to the Orthodox cultural heritage in Kosovo in the past, and we urge minister Gashi to tone down his rhetoric and demonstrate his political ambitions through actions that correspond to the age we live in and the right of all people to religious belief,” said a statement. 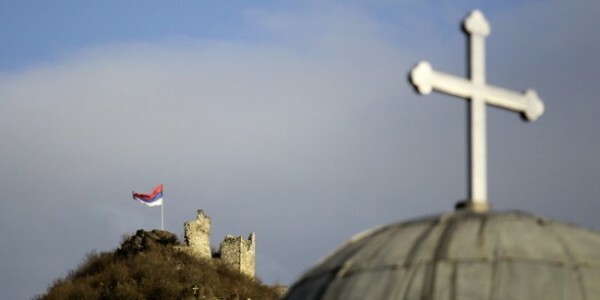 “During the March (2004) Pogrom, 35 Orthodox temples were destroyed in just two days, including churches built in the 14th, 15th and 16th centuries, and it has been hinted that the unfinished cathedral of Christ the Savior in Priština would be turned into ‘a museum in memory of Kosovo Albanians’,” the Initiative said. “Such statements by senior Kosovo government officials make the Serbs even more fearful, reminding them of March 2004, when Serbian Orthodox Church temples were razed, with over 4,000 Serbs driven out of the province and over 800 Serb homes torched,” the statement warned.